You have been created to make a difference. My name is Karen Poppel. I currently live in Saskatoon with my husband and our two children. I came across Jin Shin Jyutsu 8 years ago when I attended a Jin Shin Jyutsu self help healing talk. It was fascinating! I had to try it out for myself. After the 30 min session I hopped off the table feeling amazing! I had been living with lower back aches for a while and after the session my back felt "free"! I wanted to skip home!! I started receiving regular sessions and realized this was something I believed in so much that I wanted to share it with others. I received my Jin Shin Jyutsu certificate in 2014. In 2017 I received a certificate in Clearing Techniques. 2018 was a busy year, receiving an Access Bars Practitioner and Facilitator certificate and Access Face Lift Practitioner certificate. I continue to educate myself, providing you with the best healing experiences possible! 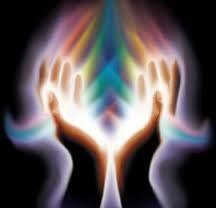 I have my own energy healing business called Touch of Vitality. I look forward to offering these amazing healing modalities with you! Monthly visits to Humboldt Sask.